Welcome to Episode 12. On today’s show, I’m chatting with Björn the founder of FORSBERG+Two. 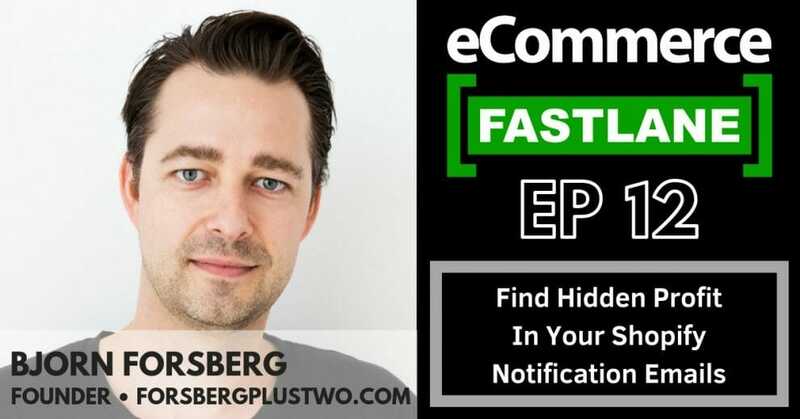 He discusses the Shopify notification emails, and the simple changes you can make to generate more revenue for your store. You really can optimize your Shopify notification emails to sell more and match your brand perfectly. You can also include product recommendations, discount codes, and promotions. All 18 email templates are included and fully customizable. OrderlyEmail Shopify App <- Get 20% off with code: fastlane20 Thanks Bjorn!